Take 600 SPECIALTY COFFEE FARMS, add a smattering of mills, roasters, retail outlets and museums, then cluster them along 20 miles of scenic country roads, and you’ve got the makings of a SELF-GUIDED, COFFEE-TASTING TOUR. Most people begin their tour from Kailua-Kona, and head north on Palani Road (Highway 190). If this is your route, make MOUNTAIN THUNDER KONA COFFEE PLANTATION your first stop. Drive on Palani for about 4.5 miles, and turn right on Kaloko Drive. Then go 3 miles to the third sign for Hao Street. Turn right again, and follow Hao for about a mile. Mountain Thunder will be on the right side of the street. Visit mountainthunder.com. To continue the tour, return to Palani Road, then back to the junction of Highways 180/190 and head south to the old Mamalahoa Highway toward Holualoa Town. Before you reach the tiny mountain village of Holualoa, you’ll find UESHIMA COFFEE (UCC HAWAII) Kona Coffee Estate. Down the road you’ll come to KONA BLUE SKY COFFEE COMPANY, a large 500-acre estate. HOLUALOA KONA COFFEE COMPANY is farther south on Highway 180. Visit konalea.com. End your tour at KONA COFFEE LIVING HISTORY FARM on Mamalahoa Highway in Captain Cook, which provides a wealth of information about the unique lifestyle of Kona’s coffee pioneers. 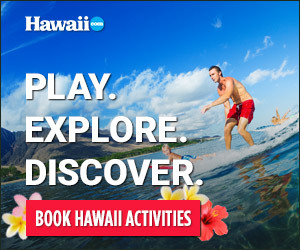 Visit konahistorical.org.